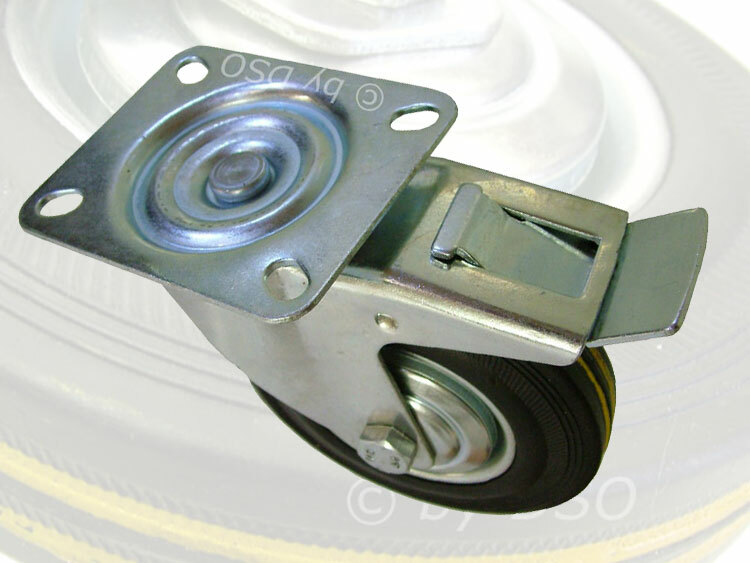 These high quality swivel double bearing castors with attached brakes have a wheel diameter of 4 inch, and a tyre width of 1 inch It's made of a high density rubber which can take up to 75kg. The top plate is 4 inch x 3 inch and can attach onto any object including cabinets, generators, tables and trolleys etc. with 4 screws or bolts. Be sure to check out our generators as these wheels both swivel and fixed would be the perfect addition to make your life a little easier pushing them around.